FrightFall is at an end. It went by fast, but was great fun, as always, and our new Facebook group is a success! I hope you enjoyed your time reading this week. I'd like to thank you all for joining me. Be sure to add your wrap-up link below (I want to stop by and see how you did with your reading) and please double check that you were signed up HERE so you will be eligible for the giveaway. You have until Wednesday, October 14 at 11:59pm CST to add your wrap-up link. I will draw giveaway winners as soon as I can (my birthday is Thursday and I'm going out of town for a long weekend so may not be able to pick winners until Monday...please bear with me). Please be sure to note the system of drawing winners in the giveaway details on the prize page). And now for a big round of applause for the authors and bloggers who so generously donated our prizes and hosted giveaways. Bravo! And thank you! NOTE: You can still enter Erin's FrightFall giveaway through Wednesday at 11:59pm CST. Click Here. Hope to see you next time at the Christmas Spirit Read-a-Thon, coming up Thanksgiving week (November 23-29). The button is already in the sidebar. You like? (I'll be adding a grab code soon). Good luck in the giveaway to all!!! And thanks again for joining me! Thank you for your read-a-thon. Have a Very Happy Birthday and enjoy your trip. Wow, Carol...you read a lot! I'm glad you were able to participate, despite poor Clancy. Hope to have you with us for Christmas Spirit next month! Thank you for this extra push to enjoy some seasonal reads. HAPPY BIRTHDAY! Enjoy your time away. I failed miserably so I'm not linking up, but I wanted to say I loved the Facebook group this time and I cannot wait until the Christmas readathon because I plan to do much better with that one!! Happy Birthday a couple days early! Thanks for hosting! I had to just add a wrap-up to the end of my master post, sorry. Owie arms is why. I always think I won't have time to read anything--and then I do! Thank you, Michelle! :) And a very Happy Birthday! I signed up to follow you on bloglovin; the Christmas readathon interests me. I love Christmas so much I co-authored a nonfiction book about it. Home of the month long seasonal readathons and the two special event readathons, hosted by Michelle at the True Book Addict, Castle Macabre and Christmas Spirit blogs. 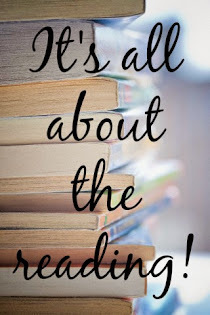 All readathons are hosted and coordinated on this blog, and via our Facebook group, Goodreads group and our Instagram. Thank you for joining us!